Lot Size: 168 sq. 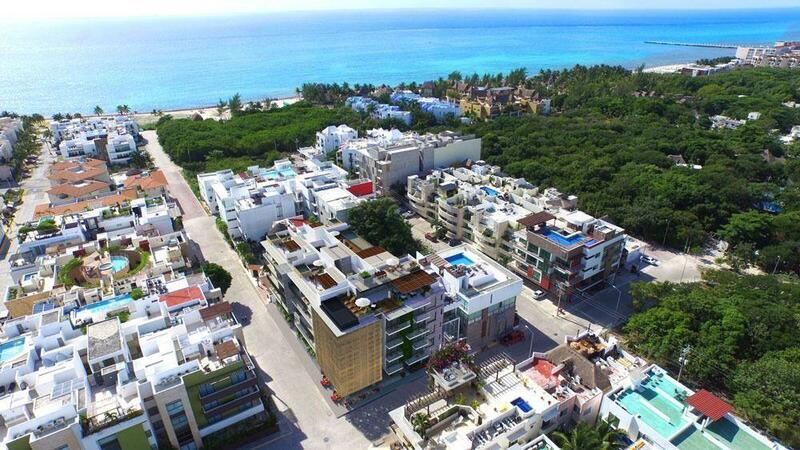 m.
Incredible Home located in one of the best family friendly communities in Playa del Carmen, 3bed, 1.5bath, 2 story. and 240sm, with frontal security gate. First Floor: living room, Equipped Kitchen, dining, half bath, huge tiled backyard, enclosed laundry room/storage room and utility room, spare bedroom for guests. Second Floor: Master bedroom, with finished closets, ceiling fan and a/c, Full bathroom shared with up stairs spare bedroom, huge terrace overviewing calle los almendros.